The cold winds of winter are rising in Westeros. War is coming and five kings continue their savage quest for control of the all-powerful Iron Throne. 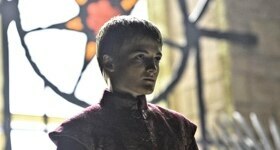 Tyrant Joffrey makes life hell for Sansa, while in Dragonstone, a new pretender enters the fray. 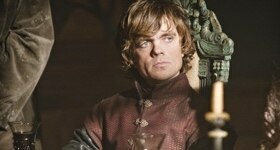 Tyrion demands that Joffrey suppress his tyrannical urges, while Theon attempts to forge an alliance. 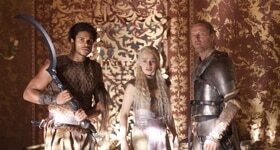 Catelyn and Tyrion take action to strengthen their families. Bran's visions become clearer. 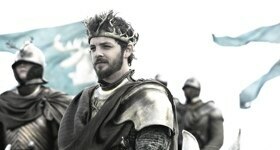 Stannis and Renly Baratheon's sibling bond is tested by their ambition. Tyrion moves to control Joffrey. 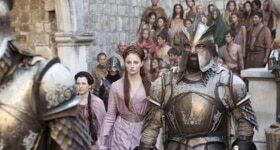 Episode 5 "The Ghost of Harrenhal"
Arya receives a promise from a mysterious prisoner. Across the wall, The Night's Watch makes a stand. Episode 6 "The Old Gods and the New"
Arya receives a surprise visitor. 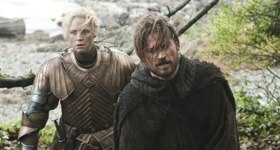 Episode 7 "A Man Without Honor"
Theon tries to prove himself as a true Ironborn. 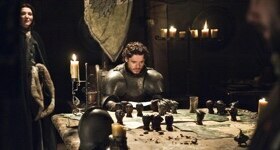 Episode 8 "The Prince of Winterfell"
Robb learns of betrayal, while Arya calls in a debt that will be hard to honour. 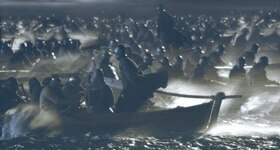 The Lannisters' grip on the throne hangs in the balance as Stannis launches an attack. The second season of the epic fantasy drama concludes as the Starks, Baratheons and Lannisters clash.